Learn how to do what you want to do by PC at NCC! 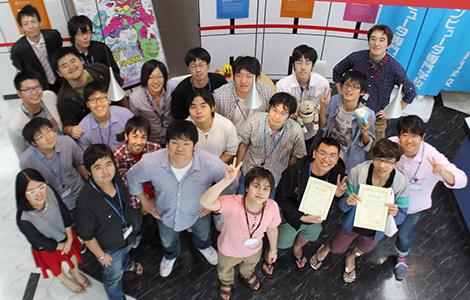 Each year, many of our students pass major IT qualification examinations of Japan. 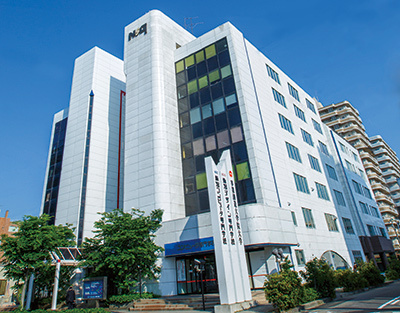 At NCC, students can take courses and practice classes, which are geared to preparing them to work in Japanese IT companies, game making companies, or CG making companies. We introduce jobs that meet or almost meet students' needs. At NCC, students can fully prepare for written examinations and interviews. Students experience the joy of creating systems and aim to become system design professionals who can create useful systems for companies and who are appreciated by individual users. Students learn the game creation process from planning and making to finished products and aim to become game creators who create games by leveraging their creative ideas. Students learn the entire graphic creation process, including how to use application programs, the creation of computer graphics and websites, concepts, and stories. This is a four-year course where students acquire advanced practical IT skills through many practice classes.